The pharmacogenomics market size accounted for $5,312.8 million in 2017 and is projected to reach $10,265.5 million by 2025, registering a CAGR of 8.61% from 2018 to 2025. Increase in elderly population, surge in adoption of pharmacogenomics procedure by the healthcare professionals, growing awareness of the patient population towards personalized therapy, and growth in prevalence of chronic diseases such as cancer, tuberculosis, HIV, and others, drive the growth of global pharmacogenomics market. Furthermore, technological advancements associated with molecular diagnostics procedure for better understanding of the genetic structure of the individual patients is also expected to boost the market growth of pharmacogenomics market during the forecast period. However, factors such as dearth of skilled and highly trained healthcare professionals in performing the pharmacogenomics diagnostics test, high cost associated with tests and lack of funding for the research and development of different pharmacogenomics pathways, are anticipated to restrain the growth of global pharmacogenomics market. However, surge in disposable income of the global population is expected to provide lucrative growth opportunities for the market. Based on end user, it is categorized into hospitals and clinics, research organizations & academic institutes. The hospitals and clinics segment accounted for the largest share among end users for pharmacogenomic products, followed by research organizations and academic institutes. This is attributed to the fact that hospitals are well-equipped with molecular diagnostic lab units to cater to the different needs of the patients. Moreover, pharmacogenomics lab units at hospitals are well-equipped with highly superior systems. Better infrastructure and technological edge over other medical centers, presence of highly skilled medical professionals and the patients preferring hospitals over others has propelled the growth of hospitals in the end user and is anticipated to be at the top throughout the global pharmacogenomics market forecast. Furthermore, research institutions are the fastest growing in the end user segment owing to the robust use of pharmacogenomics as a tool for personalized drugs for curing diseases such as cancer, several infectious diseases like tuberculosis, HIV/AIDS and others. Based on application, the market is divided into oncology, cardiovascular disease, neurological disease, infectious diseases, psychiatry, pain management amongst other applications. Pharmacogenomics tests in oncology are used for understanding the correlation between the effects of drugs over based on an individuals genomic profile. The oncology has the largest market share in the application segment for the global pharmacogenomics market with a total revenue of $1,954 million in the year 2017 and is anticipated to maintain its position throughout the forecast period. This is attributed to the increase in prevalence of cancer across the globe, rise in demand for personalized therapy, and surge in demand for the use of pharmacogenomics in drug discovery and development. In addition, infectious diseases in the application segment is the fastest growing segment with a CAGR of 10.1%. Owing to the increased demand for the use of pharmacogenomics as tool to eradicate the infectious diseases completely. The number of people that fall sick due to the infectious diseases, these includes the big three infectious diseases vis--vis HIV/AIDS, tuberculosis and malaria. According to World Health Organization, World Health Organization, the prevalence of these diseases has grown over 250 million globally, out of which 71%, 28% and 88% of the cases occur in sub-Saharan Africa alone respectively. African countries are continuously struggling to contain infectious diseases, and there is a need for governments to commit resources not only for treatment, but also towards research and development aimed at innovative approaches such as pharmacogenomics. Most of the infectious disease have proven to be challenging owing to the drug resistance they provide against several antibiotics. The higher rate of resistance is mainly due to improper and/or unspecified prescription and use of antimicrobials has raised the demand to run pharmacogenomics-based diagnostics tests before prescribing any drugs Furthermore, surge in geriatric population, rise in health awareness, and increased adoption of personalized therapy by drug manufacturing companies and healthcare professionals are also anticipated to boost the growth of the global pharmacogenomics market. The report provides an extensive competitive analysis and profiles of the key market players, such as Abbott Laboratories, Dynamic DNA Laboratories, Empire Genomics, LLC, F. Hoffmann-La Roche Ltd., Illumina, Inc., OneOme LLC, Myriad Genetics Inc., OPKO Health, Inc. (GeneDx), and Thermo Fisher Scientific, Inc. The other players included in the value chain analysis (but not included in the report) are Assurex Health Inc., Teva Pharmaceutical Industries Ltd., and Bayer AG. The study provides an in-depth analysis of the global pharmacogenomics market trends and opportunities along with future estimations to elucidate the imminent investment pockets of the industry. The report presents a quantitative analysis of the global pharmacogenomics market share from 2018 to 2025 to enable stakeholders to capitalize on the prevailing market opportunities. 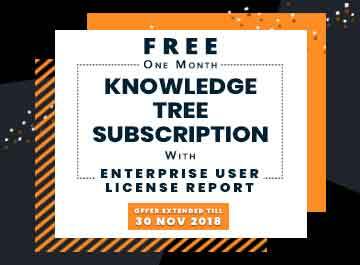 An extensive analysis of the market based on technology, application, end user, and region helps understand the trends in the industry. The key market players are analyzed along with their strategies to understand the competitive outlook of the global pharmacogenomics market. 8.5. F. Hoffmann-La Roche Ltd.
8.10. Thermo Fisher Scientific, Inc. The utilization of pharmacogenomics-based drug testing and personalized therapy is expected to witness significant growth, owing to increase in prevalence of deadly diseases and technological advancements in the field of medicine. Moreover, the field of pharmacogenomics has piqued the interest of healthcare professionals and patients alike, due to benefits offered by these diagnostics services and enhancements for the efficacy of drugs acting on a disease. Remarkable technological advancements have been witnessed in disease targeting & drug response in patients with reduced adverse effects. Surge in incidence of mortality causing diseases such as cancer, cardiovascular diseases, neurological disorders, and infectious diseases such as HIV, tuberculosis, malaria, cholera, and others, has propelled the growth of the pharmacogenomics market globally. Technological advancements in the molecular techniques and bioinformatics tool and increase in emphasis on early diagnosis of diseases using pharmacogenomics based diagnostic tests has led to the increased preference for the use of pharmacogenomics based diagnostic tests. Furthermore, increase in demand for the use of personalized medicine and surge in geriatric population are some of the factors that majorly drive the growth of the market. However, dearth of skilled and trained professionals and complexities in finding the right drug based on genome analysis hinder the market growth. The incidence of cancer and cardiovascular diseases in the populace has drastically increased in the recent years with rise in the geriatric population. This factor along with increase in unhealthy life style boosts the growth of the global pharmacogenomics market. 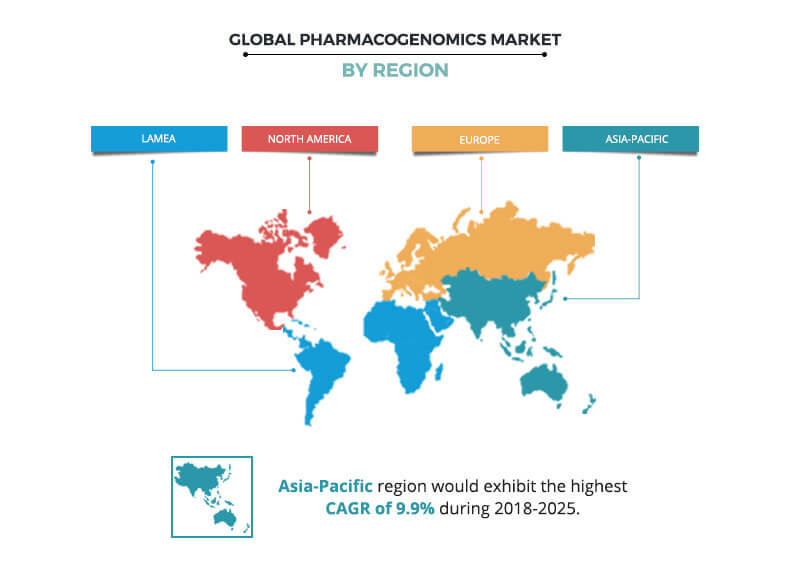 In addition, the global pharmacogenomics market diagnostics kit manufacturers and distributors have focused on expanding their presence in emerging economies to strengthen their market penetration.